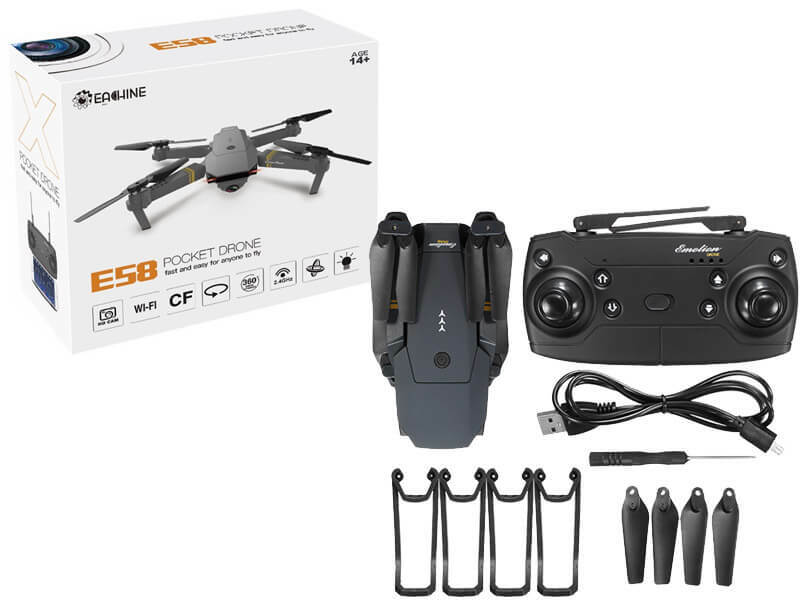 When DJI Mavic Pro had the best sales in 2016 and 2017, Eachine came with the E58, cheaper replica version of the Mavic Pro. You can buy this little mustang fury at Aliexpress, it takes longer to arrive but the shipping is free. Banggood, for a faster delivery. Amazon, for a better version of the drone. Altitude hold mode is a function which provides a stable flight. 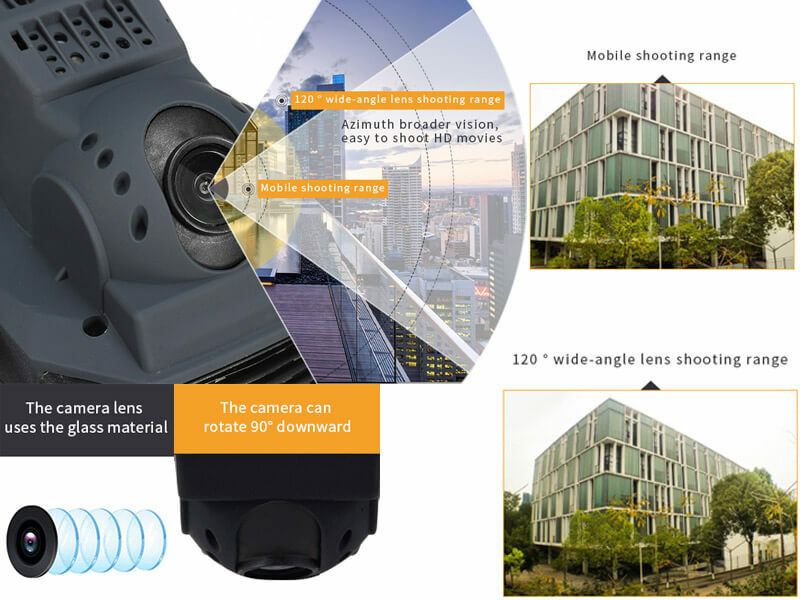 The WiFi function can be connected to an APP and an APK system in order to take pictures, film video, and real-time transmission through the phone screen. There have 2 cameras to choose from. One of them is a 2.0MP 720P wide-angle HD camera. 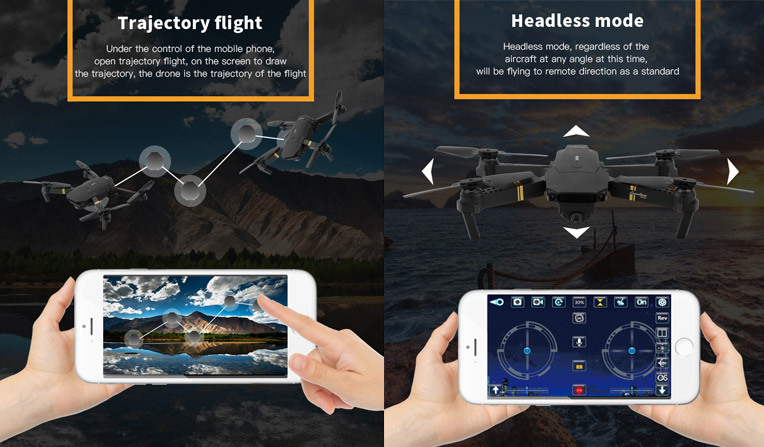 Headless mode, which automatically adjusts the drone position before flight. A 4 Channel feature, where the drone can ascend, descend, fly forward, backward, can strafe left and right, and roll for 360°. 6-axis gyro which has a stable flying and is easy to control. It has a 3-level flight speed which can be adjusted as the way you like it. The body of the aircraft is made of resistant engineering plastics, which is lightweight and resistant. Why is Eachine E58 the best starter drone? Inside the box, you can find the aircraft with a loaded battery and its transmitter. One pair of spare propellers. One set of blade protectors. One USB charging cable, a screwdriver and its user manual with other languages as well. 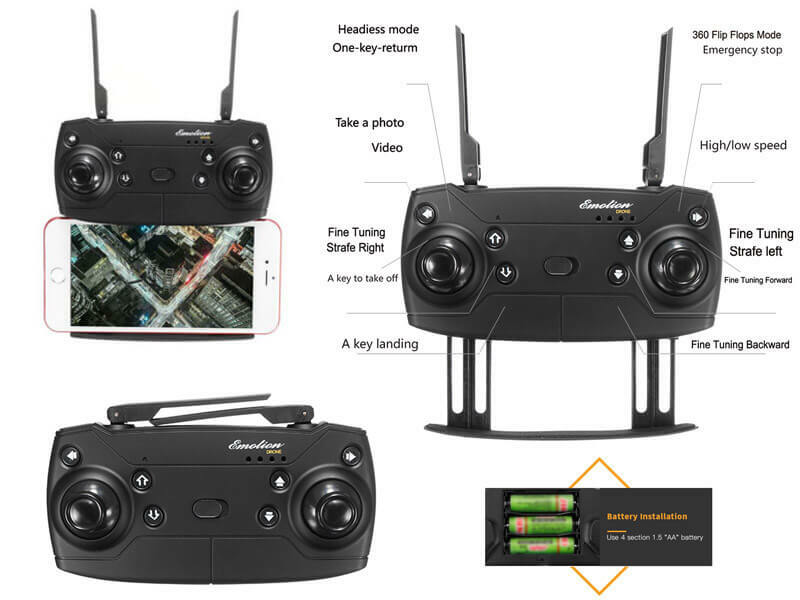 The Eachine E58 is more compact and has a good built quality. Arms, as well as propellers, are foldable. The folded drone is very compact and easy to transport. On the back of the quadcopter, you will see a loaded 500 mAh LiPo battery. Fully charged, you can fly this quadcopter up to 9 minutes. The battery has a micro USB port and it can be charged by any phone charger. The Eachine E58 is equipped with 3 LED lights, two white in the front and one red on the back. Motors are equipped with connectors, in case of damage its easy to replace them. Also, you can easily find a spare arm for a cheap price. The blade protectors can be easily attached to the quadcopter as they are recommended to be used by a beginner. The blade protectors can protect the propellers if they accidentally bump into something. The remote controller also follows the DJI’s design. The RC comes with the similar dual-antenna system and retractable phone holder. The transmitter requires 3 pieces of AA batteries, which you need to buy since they are not included in the package. On the front panel beside the control sticks, there are 6 buttons. Take off and Landing buttons are found on the right side of the controller. On each side, there are two shoulder buttons. On the left side, Photo/Video and Headless/RTH buttons are found, while on the right side are the 360° Flips/Emergency Stop and Speed switch buttons. The Eachine E58 also supports APP control. You can control the quadcopter with your smartphone, through some virtual sticks or through the gyro-sensor by tilting the phone. For beginners, it is easier to fly by using the remote controller. The onboard camera is not a must-have feature for a starter drone, but it is nice to record the journey of your first flights. Eachine E58 offers two type of cameras, one with 0.3MP or with 2MP. The camera angle can be adjusted from shooting straight ahead or straight down from 0 to 90 degrees. By carefully searching on the button of the drone, you can find a micro SD slot. The files can be stored on a micro SD card and also on the smartphone’s memory. The video quality is not remarkable, but it is better than the video quality offered by other toy drones. On your smartphone screen with the help of an app, by using WiFi you can display the camera’s real-time image feed. Surprisingly, you can test your first fly indoor. Starting your flight is easier, because of the altitude-hold feature it is extremely stable. By pressing the “Take-off” button, the drone will rise about 1 meter above the ground. 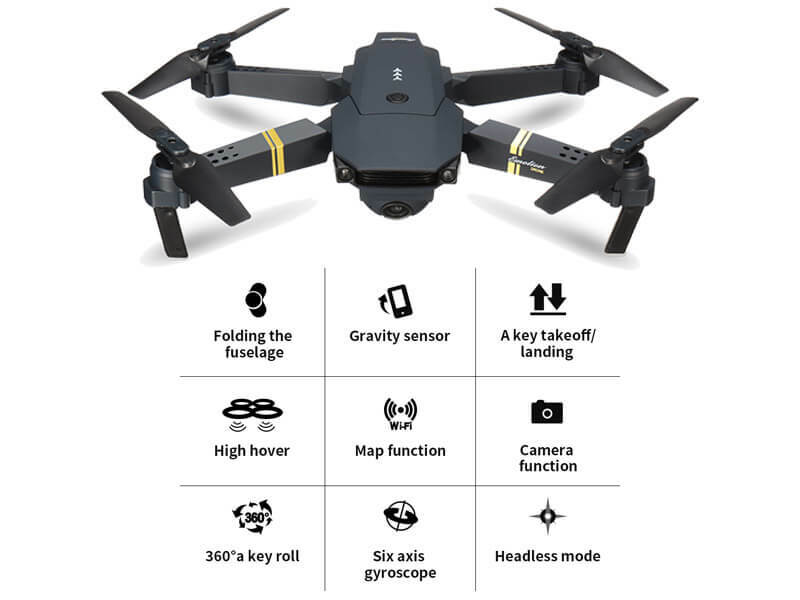 “Headless mode” and “Altitude hold” are the best features for a starter drone. 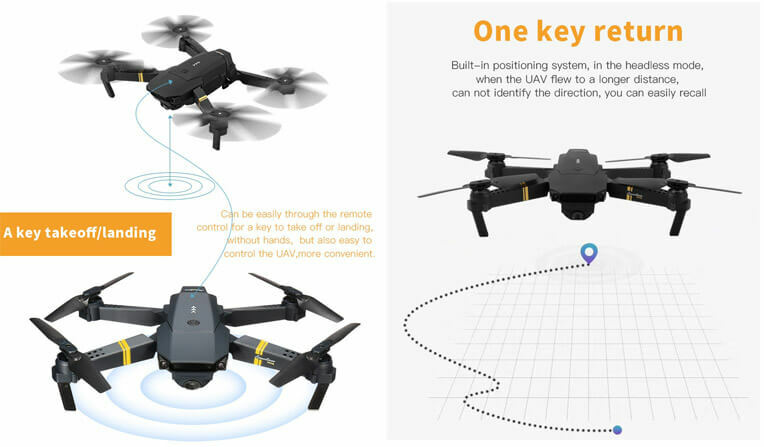 While Headless mode helps with the orientation of the drone, altitude hold maintains the flight height at the desired level. 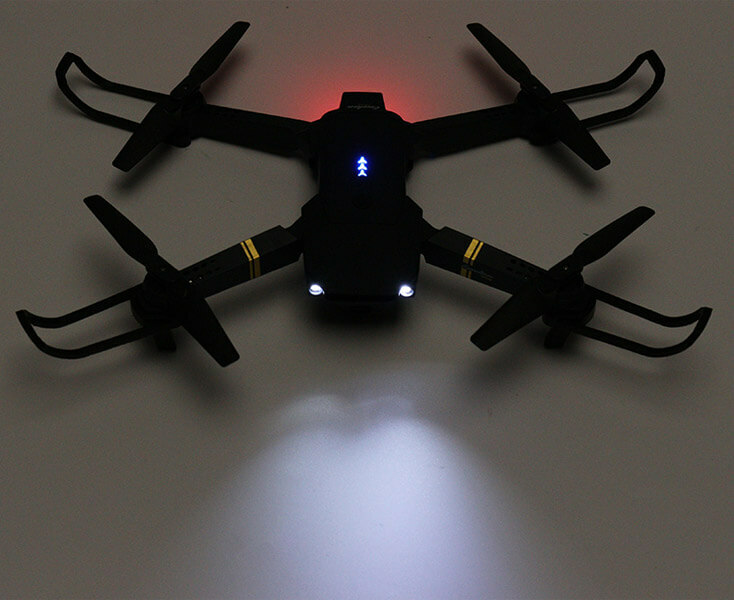 The frontal LED lights are bright and it is very helpful for the beginners because its easier to identify the orientation of the quadcopter. The 30% speed rate is perfect for the first-time pilots and indoor flights, while at 100% the speed is increased and is more powerful. The real-time flight is about 6 minutes, depending on how you fly the drone. When the battery is near empty, the aircraft will automatically land. Videos are recorded with 20fps. The Eachine E58 is a fantastic choice for a beginner, which also has a small price and offers pretty much for it. 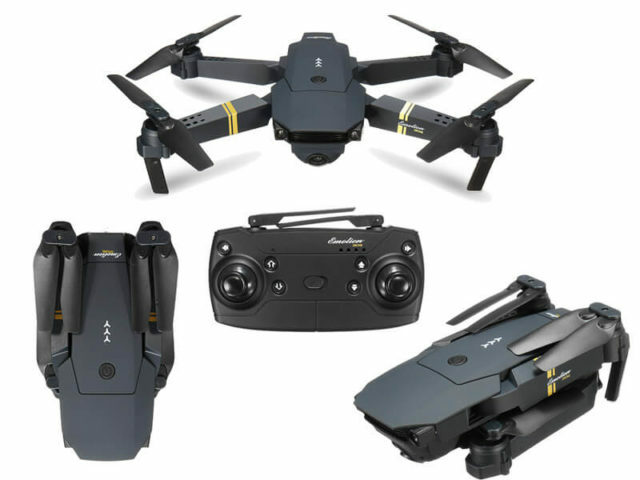 Due to its design and wide array of newbie features, it deserves to be called the Best Starter Drone.